When will be Bigheads next episode air date? Is Bigheads renewed or cancelled? Where to countdown Bigheads air dates? Is Bigheads worth watching? 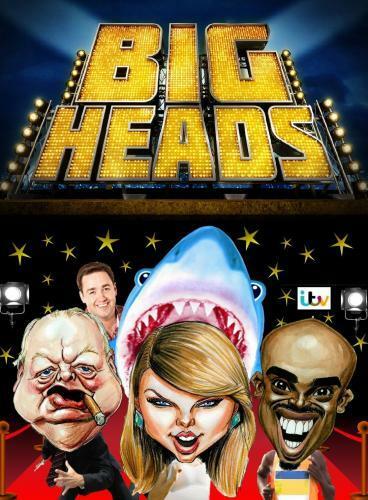 Bigheads, hosted by Jason Manford, is an ITV physical game show. 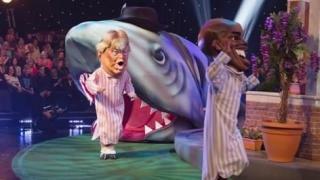 Each week, 12 ordinary members of the public are transformed into famous people by donning big unwieldy, rubber celebrity heads. Once transformed these Bigheads face one another in a series of massive physical cartoonish games, all in front of a live arena audience. Tonight's episode includes Posh Spice Victoria Beckham, music icon will.i.am and not one but two knights of the realm – Sir Winston Churchill and Sir Elton John, who'll be battling it out to get past giant bouncers into exclusive nightclubs, collect the most champagne from a giant bottle of bubbly and escape the chasing paparazzi. This edition sees pop svengali Simon Cowell, Russian president Vladimir Putin, Prince Charles and Camilla, Duchess of Cornwall go head to head. They will be battling it out to get past giant bouncers into exclusive nightclubs, fighting over microphones in their bid to record a hit single and escape the chasing paparazzi! Bigheads next episode air date provides TVMaze for you. EpisoDate.com is your TV show guide to Countdown Bigheads Episode Air Dates and to stay in touch with Bigheads next episode Air Date and your others favorite TV Shows. Add the shows you like to a "Watchlist" and let the site take it from there.